Ashwagandha or its scientific name Withania somnifera, is an Indian herb or ginseng, that is considered as one of the many powerful herbs that heals since the ancient times. Ashwagandha has a rejuvenating properties like an ordinary ginseng. For hundred years until now, ashwagandha is used as herbal remedy for inflammation, fever, infections and many others. It also improves the immune system and memory. 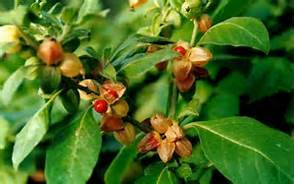 The herb ashwagandha is not only used by the ancient Indian but, native Americans and Africans believed that ashwagandha was a very powerful herb. 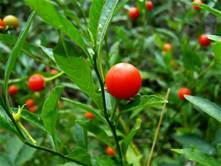 Ashwagandha is a shrub that belongs to the same family as the tomato and very abundant in India and the North America. In Indian Sanskrit, ashwagandha means ‘the smell of a horse’ which explains why this powerful herb brings vigor and the strength of the mighty stallion. Most of the known cure and benefits of ashwagandha are mainly about stress, fatigue and lack of energy. But did you know, that this powerful herb has more cure and benefits that is not known by many? Ashwagandha are antioxidants. It has large amounts of uperoxide dismutase, catalase and glutathione peroxidase, these are powerful natural antioxidants. Ashwagandha is contains adaptogenic benefit that modulates stress or a changing environment.